At this season, from November through January, gift giving is part of many celebrations around the world. My mother Joan lovingly gave me many gifts which played a large part in the founding of Pack for a Purpose. In reflecting on her passing at the age of 87 in early December, I have been comforted by how fortunate I was to have my mother as my friend and mentor. All our mothers and fathers give us the gift of life. How we live our lives is shaped by the continuing gifts we receive as children. My mother, gave me two especially amazing gifts; the joy that comes from generosity and the love of travel. I believe my mother’s love of travel was encouraged by an older cousin. As I remember her telling me, he was a civil engineer who often traveled overseas to build bridges. He always returned with a doll for my mother. My mother treasured this collection of dolls from around the world. As an adult, she had a special cabinet built for the collection, a visual reminder of the delightful cultural diversity that awaits travelers. Growing up, one of the constants in my life was seeing that giving back to the community you are in is a joyful and impactful way to live. My mother modeled this for me by the many volunteer activities she participated in. Mom served by volunteering at our schools, the library, art museum and many other projects in the community. Seeing her joy in assisting the community by example instilled that value in me. Showing children that joy that can be found through helping others is a lifelong gift that still informs my choices and enriches my world. 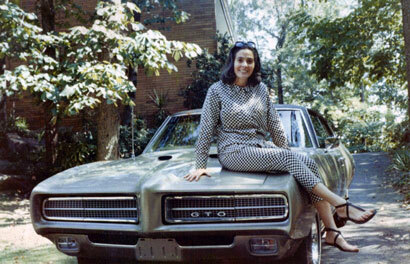 My mother loved to be on the go, sometimes quite literally! The idea that traveling to other cultures can be an amazing adventure to be savored and experienced at every opportunity started for me at age eleven. My first trip abroad was to the Bahamas. 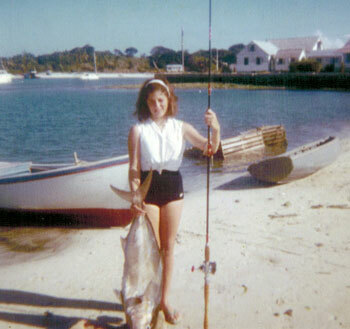 Many more trips to the Bahamas followed as it was easily accessible to us (we lived in Florida). On Green Turtle Cay which we visited often, we stayed in a basic cottage on the beach without electricity. We fished for our supper, played with our guide’s children and discovered the incredible and colorful world that could be viewed with just a snorkel and a mask. 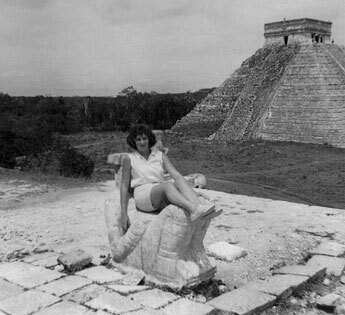 At fourteen, I traveled with my parents to the Yucatan Peninsula (before there was a Cancun). They decided, as I had a semester of eighth grade Spanish, that we would stay in a small local hotel (no English spoken) and that I could be the family interpreter! Your imagination can take it from there. We took local buses to visit the Mayan ruins. After meeting a family who lived in Merida where we were staying, we ended up visiting their beach home for a day in Progresso and experiencing the local culture. My mother showed me that adventures are to be welcomed and that new friends are just an open mind and heart away. 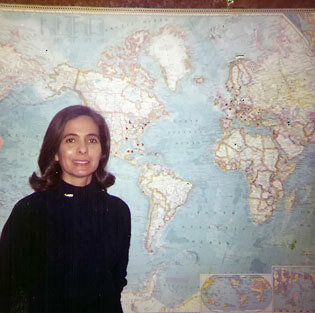 Mom visited over 20 countries and was always ready to hop on a plane. 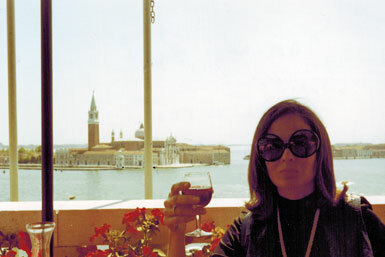 She traveled throughout Europe and especially loved Italy, where she visited twice. She also traveled through a bit of South America, the Caribbean, Mexico, Canada, Israel, Southeast Asia, and the Far East. She celebrated her 70th birthday by using her frequent flyer miles to go to China, Malaysia, and Indonesia experiencing gracious hospitality, she told me, throughout her trip. My mother believed saying “thank you” for hospitality received was a necessity. We were taught to bring a gift to the hostess when we were invited for dinner, a sleepover or a weekend that would demonstrate our appreciation. Mom believed that the chosen gift must reflect what would be meaningful to the hostess. We were taught that it can be fun to focus on what would delight someone else, helping us understand that the world is bigger than ourselves. 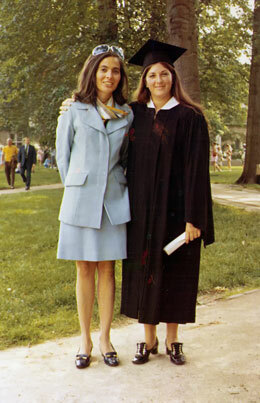 Graciousness describes my mother and was a quality she wanted to be sure she passed on to me. These seminal life lessons lovingly taught and lived by my mother are core values for me. When I founded Pack for a Purpose, the concept came directly from my mother’s wisdom. Pack for a Purpose has thrived based on her beliefs and the generosity of other mother’s children. We are all fortunate to have had incredible women shaping our lives!